A short plane transfer from Miami brings you to this 700 island-paradise, where white sand beaches, warm waters, and miles of secluded islands make for a luxurious and romantic retreat. 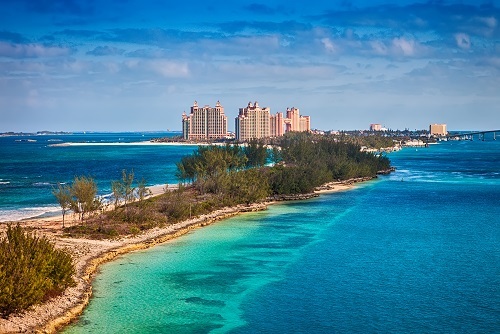 Though the Bahamas share warm, clear waters, diverse wildlife and friendly locals, the islands vary substantially, even from a 20-minute sea plane from one destination to the next. That’s part of the adventure when searching for the perfect island. You’re almost guaranteed to find one that captures your imagination—whether you’re planning a 150-person wedding extravaganza or an intimate vow renewal far removed from the world. 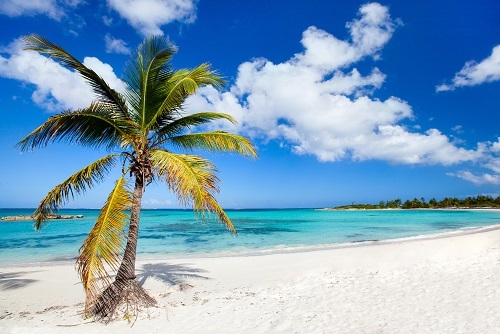 The pink sand beaches of Exuma might be perfect for a secluded getaway to reconnect, or you might try Nassau for a lively, extravagant beach escape. Better yet (since no one said you have to choose), island-hop and see why it is so difficult to pick a favorite. Wherever you end up in the Bahamas, there are abundant outdoor adventures to keep you busy. Most islands have walking tours to guide you through their cultural treasures—be it ancient ruins or famous markets. On the water, you can chose between remote bone-fishing expeditions, snorkeling, surfing, and (of course) great beaches to hang at. There are also luxurious spas that cater to A-list travelers, along with superb restaurants and shops to make the most of your island celebration.